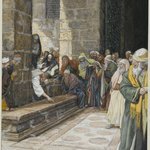 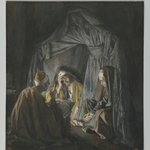 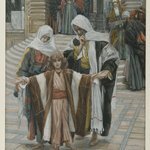 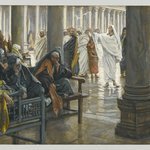 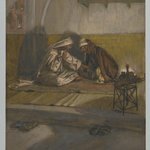 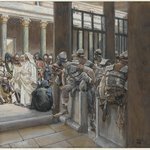 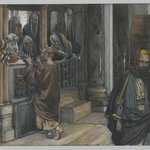 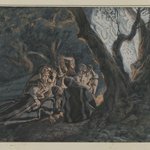 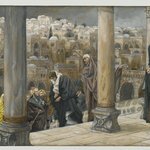 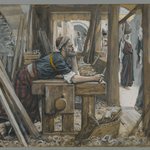 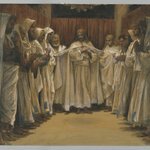 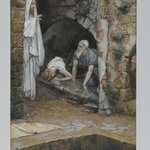 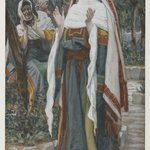 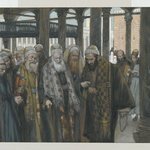 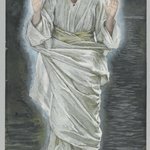 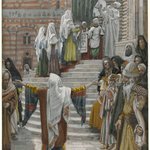 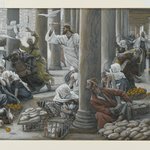 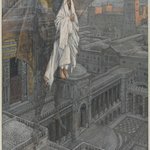 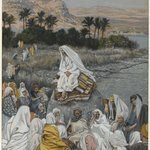 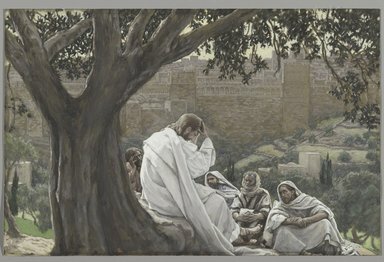 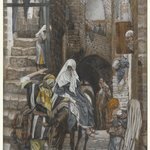 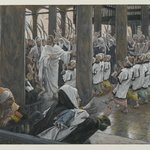 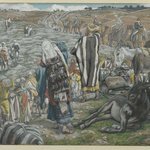 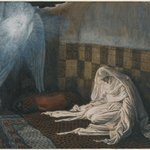 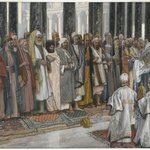 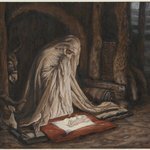 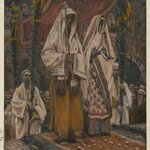 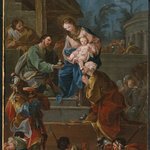 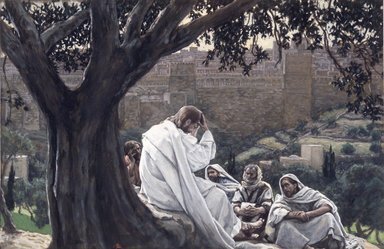 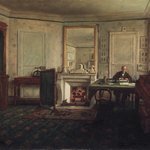 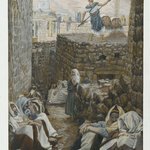 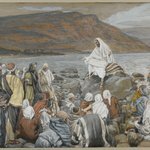 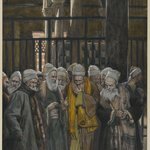 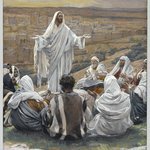 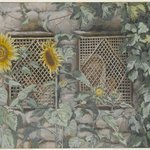 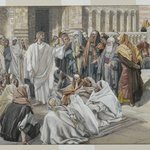 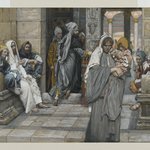 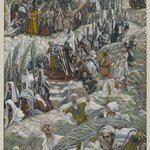 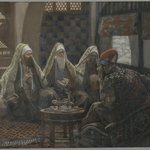 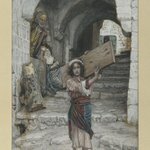 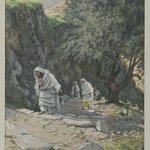 Having departed from the Temple, as Tissot notes, for the final time, Jesus sits with a small group of his disciples: Peter, James, Andrew, and John the Evangelist. 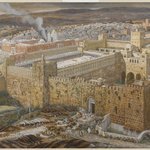 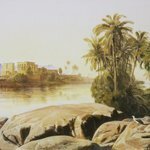 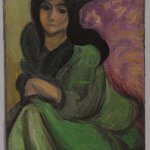 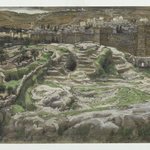 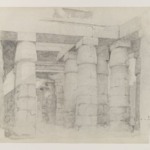 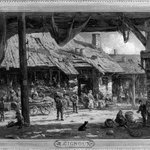 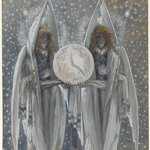 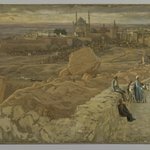 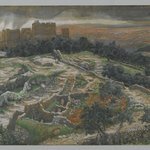 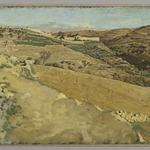 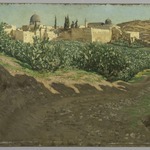 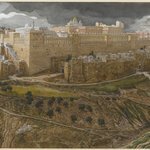 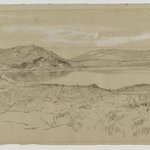 Against the backdrop of the Temple complex and the thick, fortified walls of Jerusalem, he prophesies the destruction of the Temple and its splendor—an event understood by the group as marking the end of times. 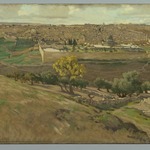 SIGNATURE Signed bottom near center on tree trunk: "J.J. Tissot"